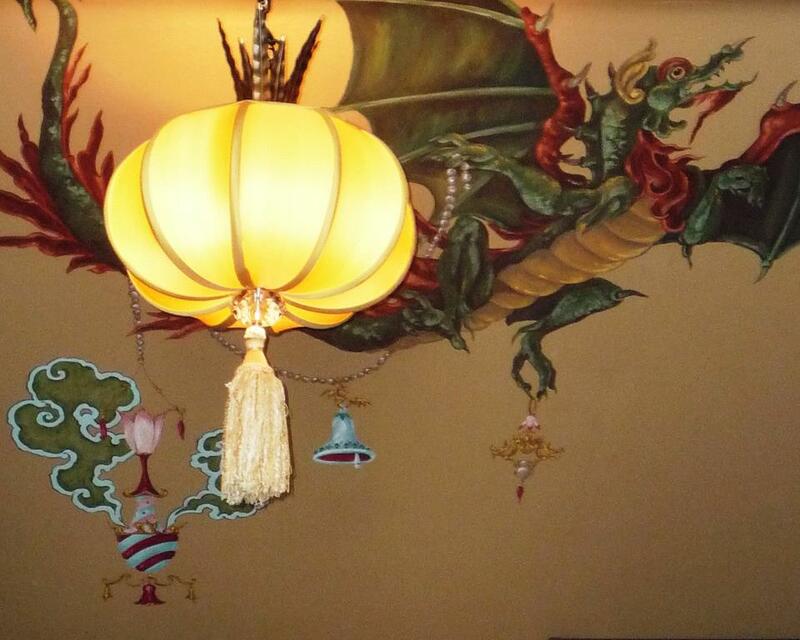 Adolf Loos first decried the use of ornament in 1908 in that loveliest (and ornamented) of cities, Vienna. His groundbreaking essay Ornament and Crime (I’ve also seen it entitled “Ornament is Crime”) is astonishing in its prophetic belief that ornament “dates” objects, creating a desire for new and seemingly more fashionable objects, dress , even homes. I actually adore Loos, he was a genius, his buildings are starkly luxurious, his aesthetic judgement without question. Yet I’ve always taken issue with the wholesale rejection of ornament in the 20th century (sadly that seems the only Loosian dictate to have secured root). Be it fine art or the applied arts, there is a general suspicion if not loathing of the decorative. So with that understanding, nearly three decades ago, I had the hare brained notion to start my “career” as an ornamentalist . 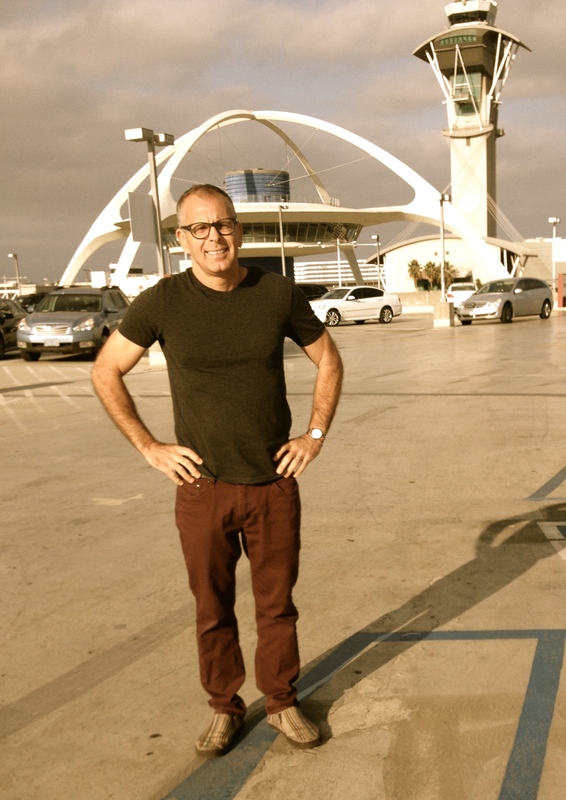 It was physically demanding work, frequently unappreciated and until I moved to LA, not well compensated. It wasn’t until the recent recession that I decided to hang up that cap and pursue a long suppressed desire to be a REAL artist. In my current incarnation as a studio painter I had thought I had moved away from that phase of my life; shunning baroque acanthus , intricate strap work and pretty blackamoors for something seemingly more substantive . 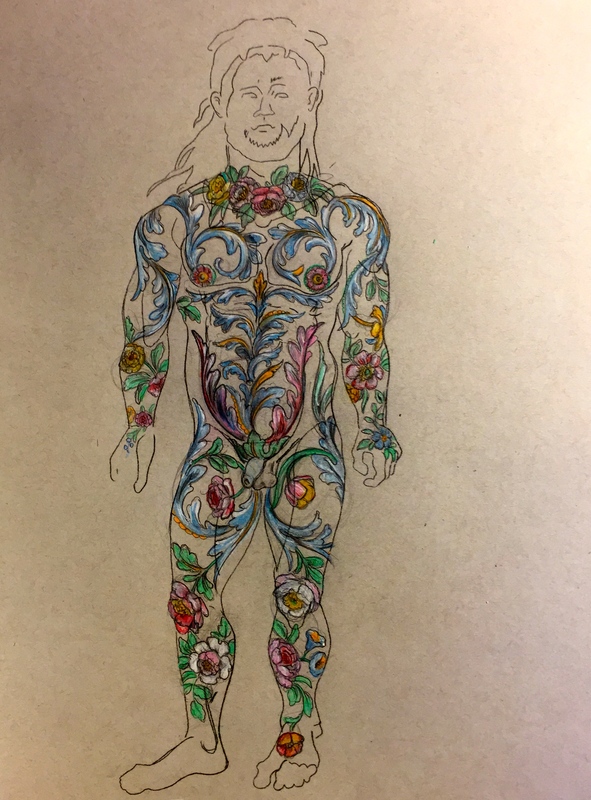 It is ironic that as an example of ornament’s criminality , Loos cited the “degeneracy” of Papuan full body tattooing, for the full body “tattooing” of my studio mannequin Massimo is what compelled me to dust off my folios of decorative designs. I found myself rustily trying to remember how to create patterns and ornamental compositions, in the end it came back as easily as remembering to ride a bike. 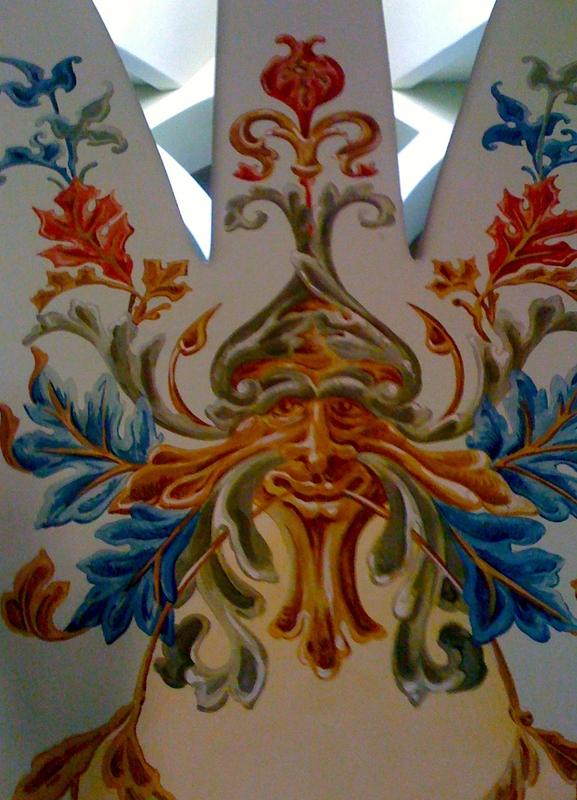 I find myself now interested in exploring ornament, how to synthesize it into work, attempting to transcend superficial attractiveness. I’m excited by the possibilities as ornament making is a skill I possess, it pours out of me. How do I use this ability in an interesting and compelling way? My studio work has always contained an element of the decorative so I’ll be curious to see how it progresses with committed intention. The following are images taken from my vast collection of preparatory drawings. This was my first big break, a huge job, close to two years to complete. I was so naive, underbid myself, underestimating the scope of the project. This massive overmantel ornament a mere sliver of the actual project. Back to the here and now, I did finish the ornament for Massimo, and as Loos predicted it IS indeed degenerate! 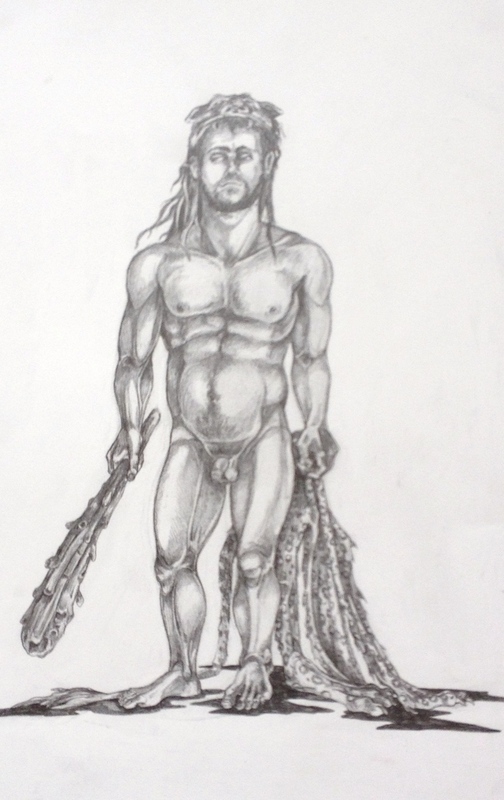 Loos, in condemning “primitive” ornament, particularly full body application, could not have imagined a world in which a comely young man ( image discovered on internet search) would adorn himself so prettily and to great applause. I haven’t the information for attribution; will do so upon discovery. In my enthusiasm I’ve started a new piece, The Apotheosis of Herakles. It will be one of my faux tapestries, which in of itself allows me to play with fiber, sewing, domestic “feminine” craft, which along with ornament , has been traditionally eschewed- yet I’m drawn to both. The following is the beginning of the work. Work in progress, “The Apotheosis of Herakles”. Seeing a certain carrot-topped charlatan bloviate and strut about the former Post estate in Palm Beach (a house that somehow manages to maintains its beauty in spite of the vulgarian within) boasting of how he is going to “make America great again”, I am reminded of the many other pompous Palm Beach parvenues I had the misfortune to work for in my over twenty year career as a decorative painter. It is incredibly unprofessional to bad mouth former clients and decorators, but frankly leaving behind that often shallow and tight-fisted business, particularly in Florida, was the best decision I have made. One wretched client I recall vividly, he specifically admired and wished to emulate Mr. Trump and unsurprisingly the motif he chose to decorate the dining room of his newly poured 30,000 square foot McMansion was the peacock. 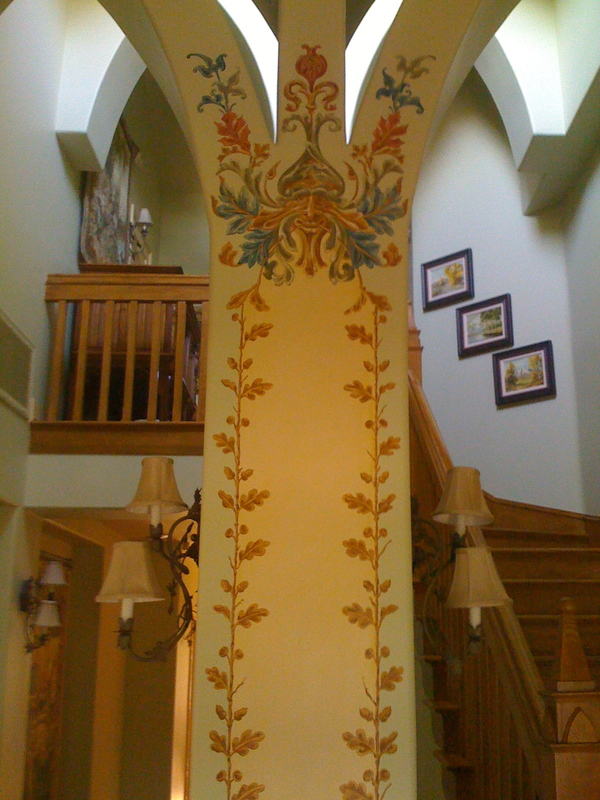 In my many years as a decorative painter I have found the peacock to be the most requested theme. Don’t get me wrong, I love the peacock as a decorative motif but to be snobbish about it, I like to think my fondness has roots in the Art Nouveau not the aspirations of the nouveau riche. This client, unlike what I have read of Mr.Trump, was particularly miserly. He would willingly boast of the $100,000.00 chandelier he had just purchased and his self aggrandizing decorator would boast of the spontaneous trips they had just taken on his private jet to pick up some god-awful ersatz baroque settee; but when it came to hiring the local, not-so-famous, struggling artist willing to paint the still damp walls of his faux palazzo, well then , that fellow could haggle. Such is the life of a struggling artist, be it decorative or studio, so much depends on the market, your own financial situation and how willing you are to debase yourself to stay afloat. Sometimes you just don’t have many options. David and I had a cute little house in Ft.Lauderdale, his practice was still developing and we had a mortgage to pay. So the two grand that the client assured me was ALL he could afford was settled upon. In the end, as in all experiences, there were lessons learned: how to manipulate cheap house paint quickly (of course there was a deadline that just HAD to met); dealing with ineffective decorators who still demanded their cut no matter how paltry the commission; and of course, slowly, excruciatingly slowly, recognizing my own worth. This wall painting has its flaws, as in my studio work I do not possess an academically trained polish to my work, and in my decorative work, my tromp l’oeil was less than convincing. But they are attractive and I believe distinctive. And this painting, finished in the three week deadline, isn’t that bad. I’m going through file after file of old commissions, some going back to the 80’s, I’m also cobbling together a website for them, an archive free of dust, but full of memories . Some memories make me cringe , but some , like this one still pleases me in spite of the bitter aftertaste . It has to be noted that the presumptuous genius Whistler openly mocked his client Frederick Richards Leyland for not appreciating the completely unrequested “improvements” to his now famous ( and rightly well regarded Peacock Room) by depicting him in a harsh caricature of a demonic peacock. I still question if Whistler had the right to squawk after he had painted over newly installed (expensive)16th leather wall coverings (which sound like they must have been fantastic), but nonetheless , this painting is great fun and the room a wonder of the world to this day. I lack Whistler’s hubris and genius, but if my peacock is still there (so much of what I have painted has been destroyed in subsequent redecorations) I hope he is giving the clients dirty looks as they feast! With that little bitter gem, be well, and now back to the studio. As class winds down I manage to think of work on the horizon, specifically a large oil painting that I have been working on in fits and starts. The following is the body decoration for Herakles, I was delighted to employ my decorative talents once again. I wanted pretty and I received pretty. This is the sketch of the fellow unadorned. I think he will look swell, perhaps one day he will have a solo role. The following are a few sketches I made for possible paintings-essentially just getting ideas out before they fade into the ether. 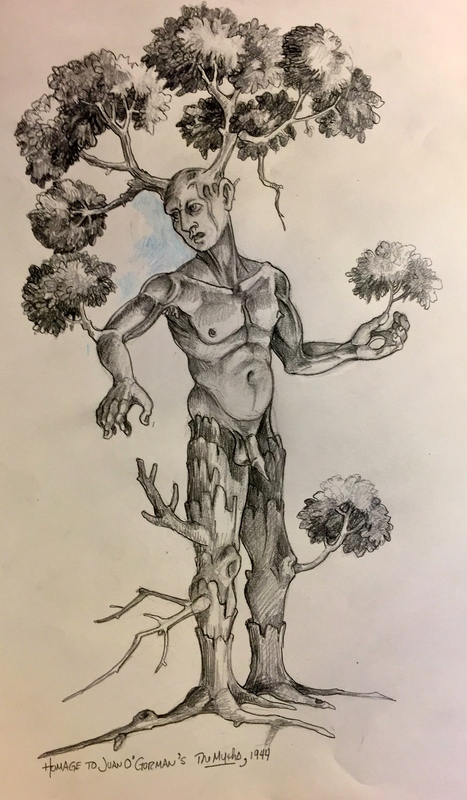 A tree god inspired by a Juan O’Gorman painting I saw recently. and a coy Adam. Received happy news today , two of my favorite paintings were accepted for an upcoming exhibition celebrating gay pride month, held in perhaps the Vatican of Gaydom, West Hollywood . I suppose that proves, no matter how much I may protest , my work is just a little homo! 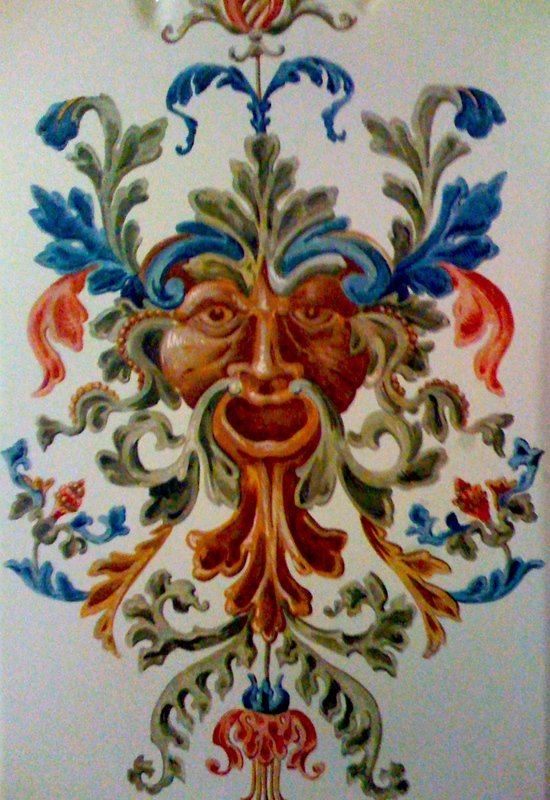 For close to twenty-five years I was a decorative painter; now I spend my time happily and productively in the studio. 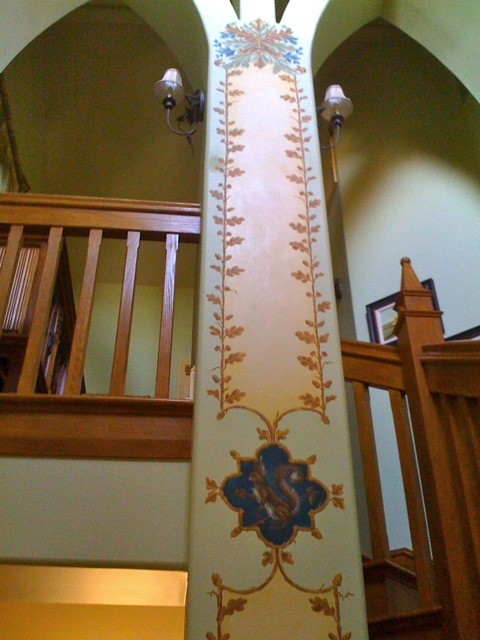 In my career as a decorative painter very few memories are fond, but the work with my friend Eleanor was a great romp. For a quick peak at that period of my life, visit my former site , Here. Today, chapters are closing and new ones opening for Eleanor : the house I helped decorate is being emptied and her new , even more delightful home awaits her . There is melancholy in knowing all of the work we lavished so much attention upon is in the hands of strangers, who knows what will happen to it. 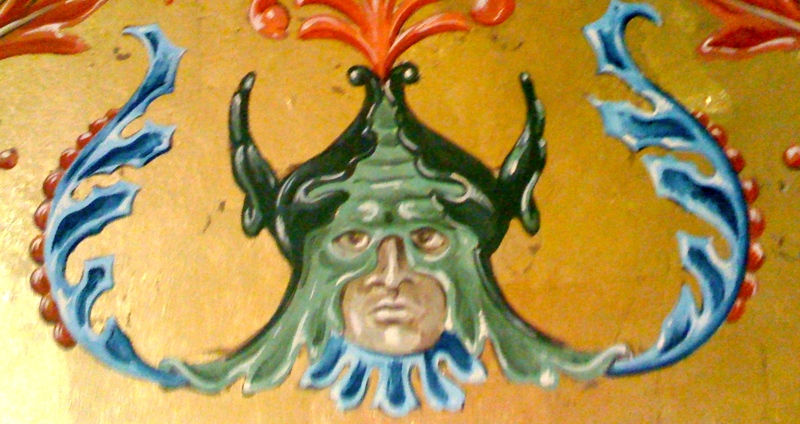 But time moves on, enclosed are just a few snapshots of the Greenmen we decorated the entry hall with; Greenmen being a shared passion. Wishing Eleanor all the best on her new adventure, so much new, in so many ways, awaits . 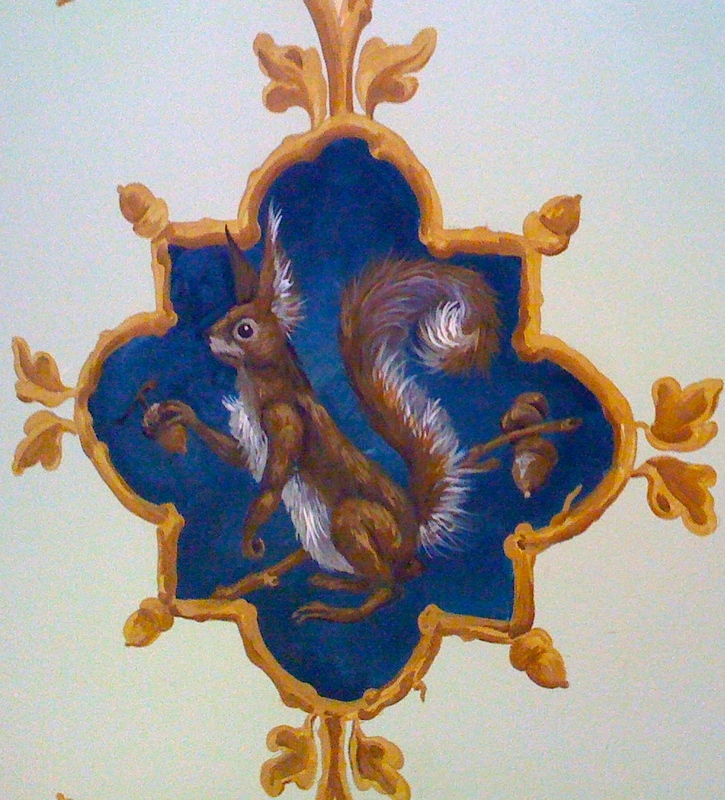 What seems like many moons ago, I painted the dressing room ceiling of my friend Eleanor. She posted this image on her Facebook page, bringing back very fond memories. Eleanor has a fantastic collection of jewels and fashion, what would be more suitable to guard her treasures than a fierce dragon. The room and the painted decoration were a nod to Brighton Pavilion, a shared passion of the client and of the painter.